I feel like Christmas pretty much snuck up on me this year. It’s weird because when I was a kid, we’d count down the days til Christmas, dreaming of the gifts and the good times with family. For some reason, that holiday spirit is diminished this year. Seemingly without any warning, Christmas is only a few days away. 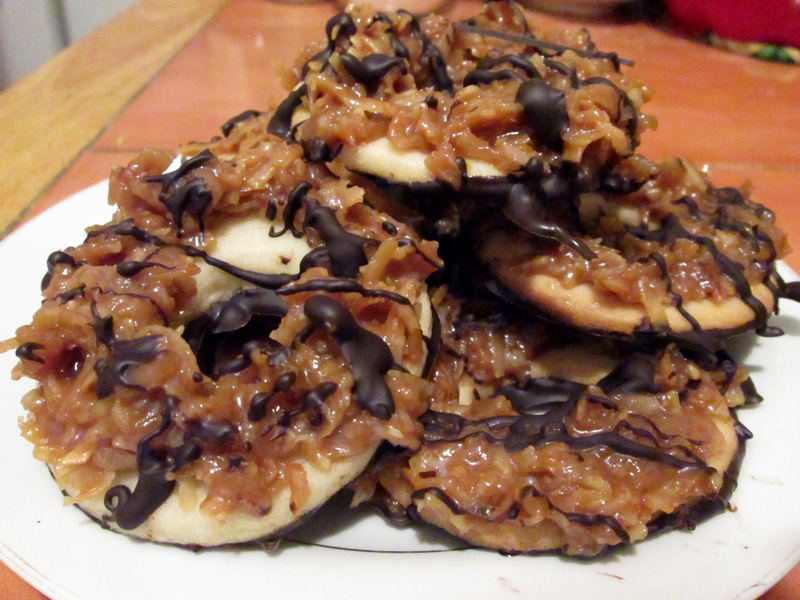 In a desperate attempt to get into the holiday spirit, I walked myself into my kitchen to create some of my own. I always tell my sister that my holiday spirit lies in my tree. I decorate it every single year by myself, and am in charge of taking it back down. I leave the tree up for as long as possible, until after my birthday; hoping to grab on to every last bit of that good feeling. I put up my tree this year but it left somewhat of a lackluster feeling. Seeing as how that wasn’t enough, I wanted to make as many festive cookies as possible. Evidenced on this blog, I made sugar cookies, coconut macaroons, and gingerbread cookies; which included a very poor attempt at a gingerbread house. It certainly made me feel better about the holidays but it wasn’t enough. Between all the hustle and bustle of holiday shopping, life got in the way. As much as I hate to be in a negative state of mind during a time where everyone should be happy, this is real life. When no one is in a holiday mood for whatever reason, it’s hard to bring it back up. Why am I telling you all this? Besides this being a way to get it all out, I also wanted to show that the holidays should be enjoyed; even when life gets in the way. One of the last ways I wanted to spread some Christmas cheer was with some candy. 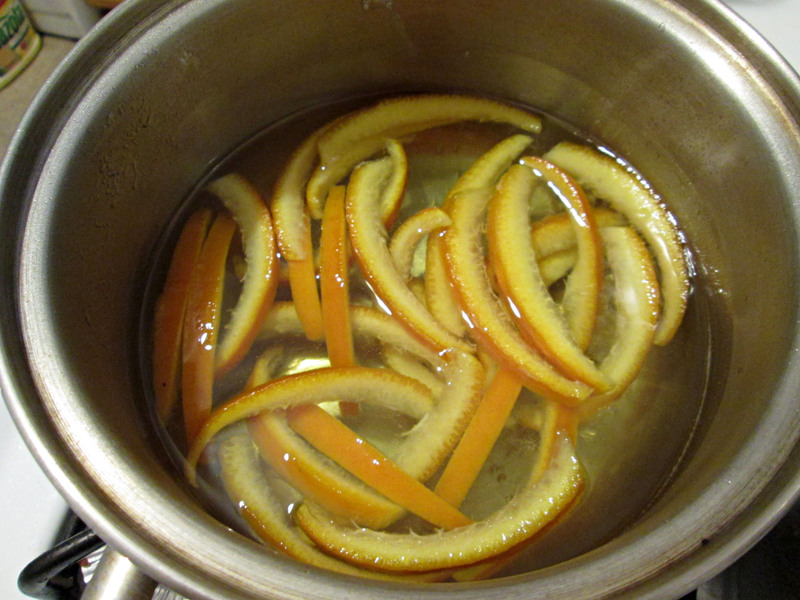 I have never attempted to make my own candy, so I knew I wanted to do something I could handle. 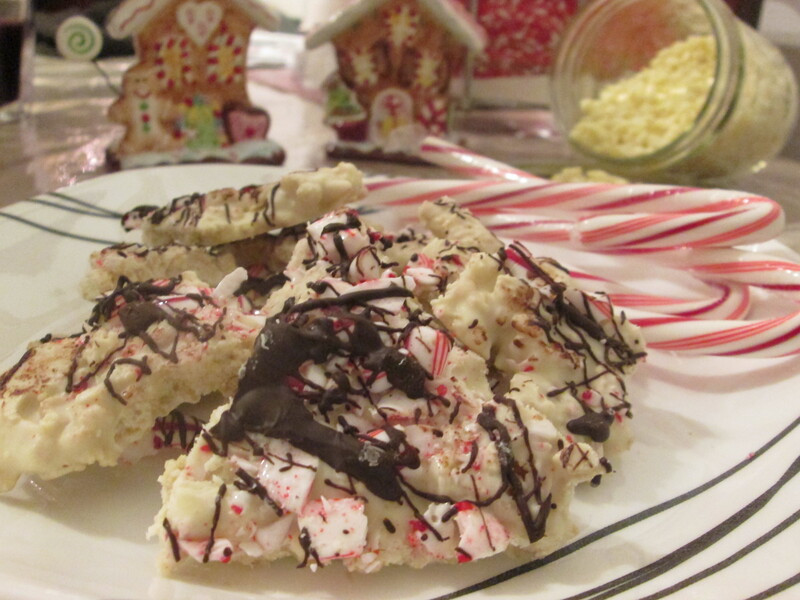 I saw this recipe for peppermint bark over at Shutterbean, from the lovely Tracy. 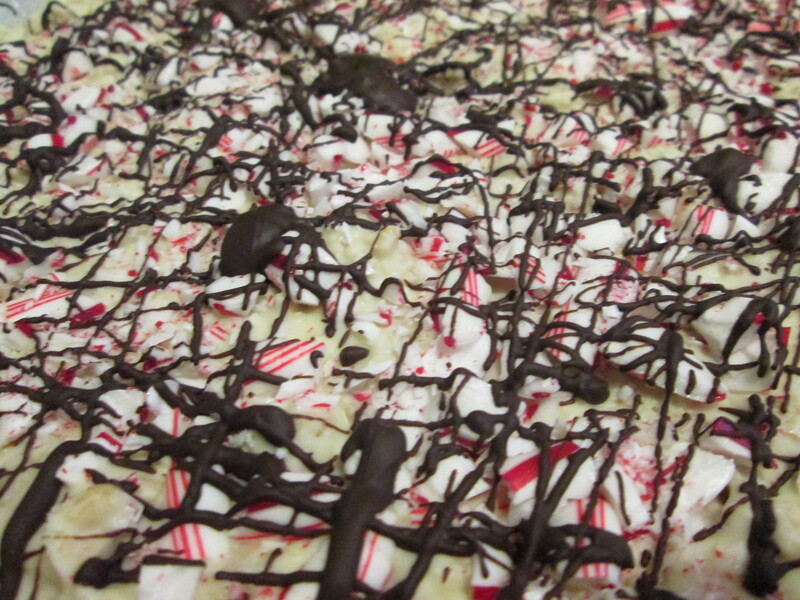 Peppermint bark is one my favorite holiday candies. I always make it a point to get at least one square of the Ghirardelli Peppermint Bark from the drugstore during the holiday season. I was attracted to this recipe for three reasons: it looked easy to make, the ingredients weren’t completely unattainable, and it looked amazing! Now, I’ve never really messed with chocolate because of its temperamental nature (har har) but I moved forward, with much success. 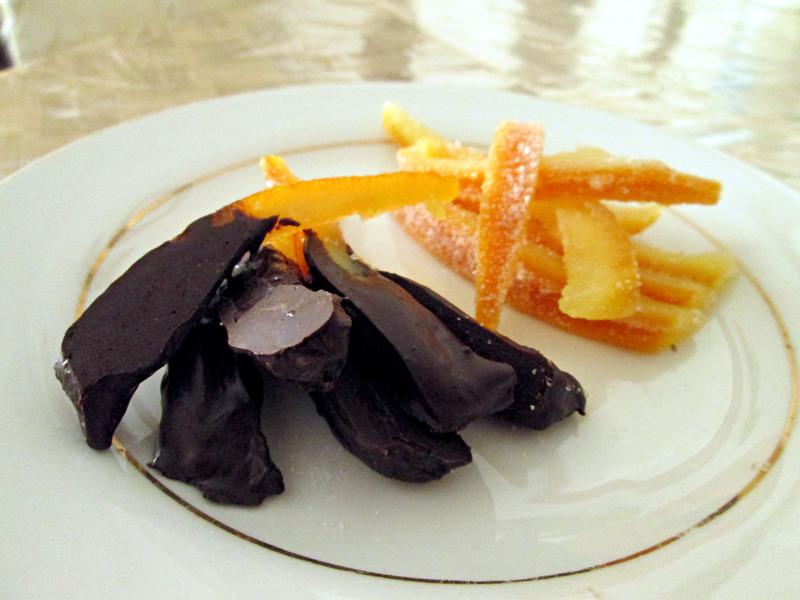 If you can melt chocolate, you can make this. Tracy’s bark is unique because it has a cereal base. This way, it’s not super cloying. She uses crispy rice cereal but since I didn’t have any in the house, I subbed Rice Chex with great results. I also drizzled some 72% dark chocolate over the top for added an added chocolate dose. 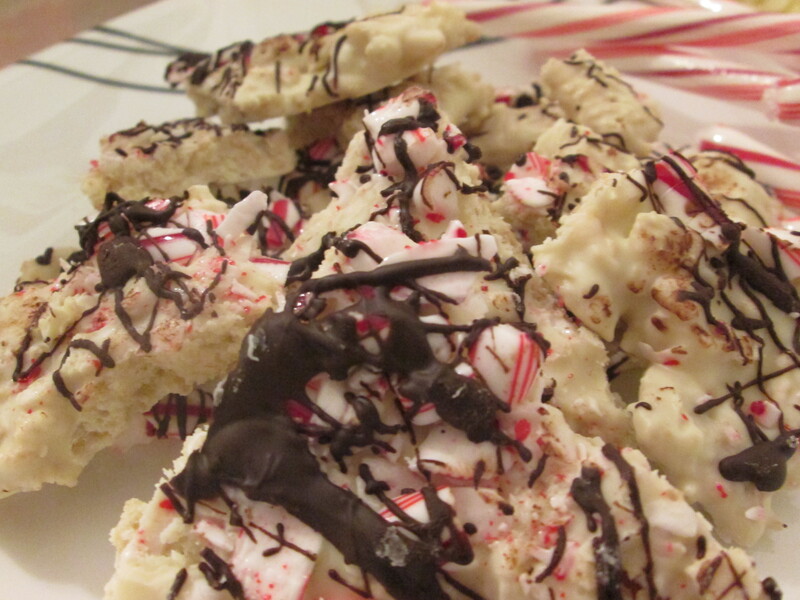 This bark is definitely a cross between the traditional peppermint bark and a marshmallow crispy rice treat, sans the mallows of course. The sweetness from the white chocolate contrasts the crunchy cereal and bits of candy cane. 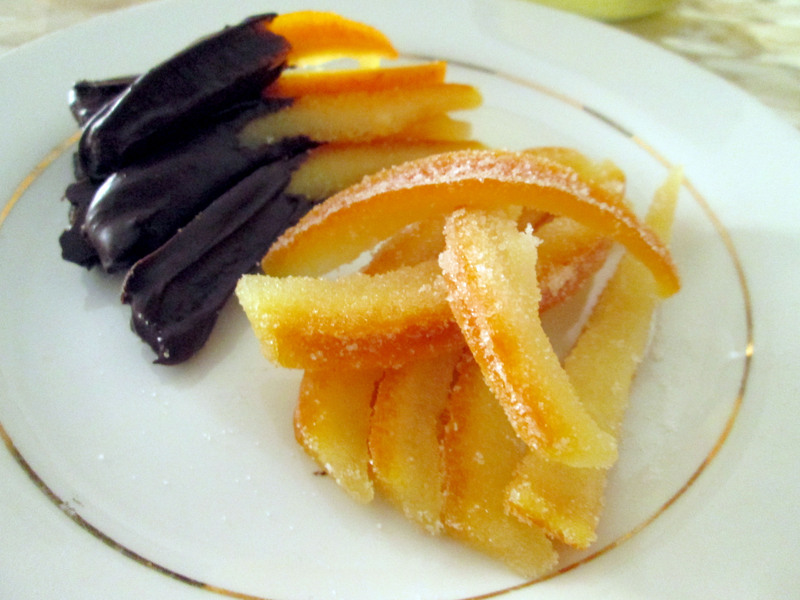 The drizzled dark chocolate is subtle, which doesn’t make the bark overwhelming. I packaged some of it up in some cute takeout boxes for gifts, and am keeping the rest for Christmas night. I hope everyone remembers to share their holiday spirit because you never know who may need it. A small token of appreciation can make a big difference. Happy holidays! Spray a 10-by-15-inch rimmed baking sheet with nonstick cooking spray; line with a piece of waxed or parchment paper. Crush candies in a Ziploc bag—strain out the powder. Sprinkle with crushed candy; with a piece of waxed paper covering the entire surface, press in gently (paper prevents hands from sticking to candy and chocolate). 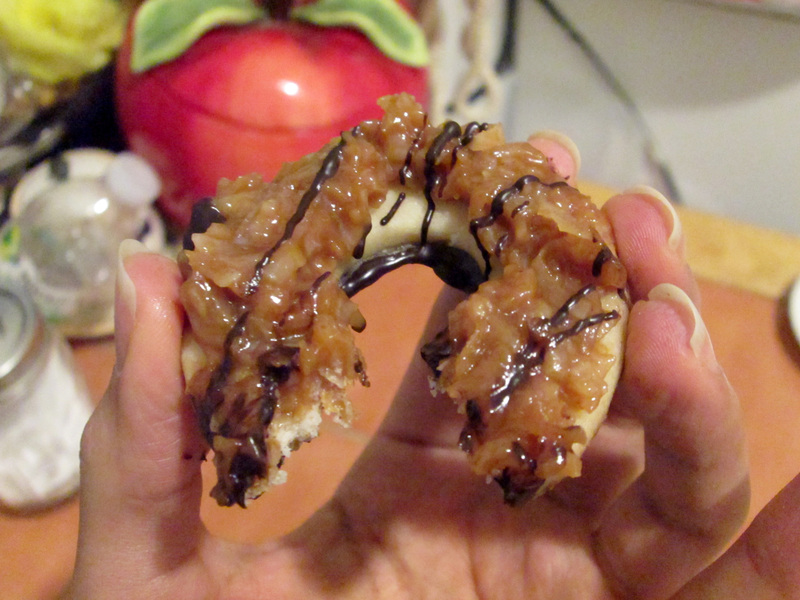 Drizzle with melted dark chocolate. 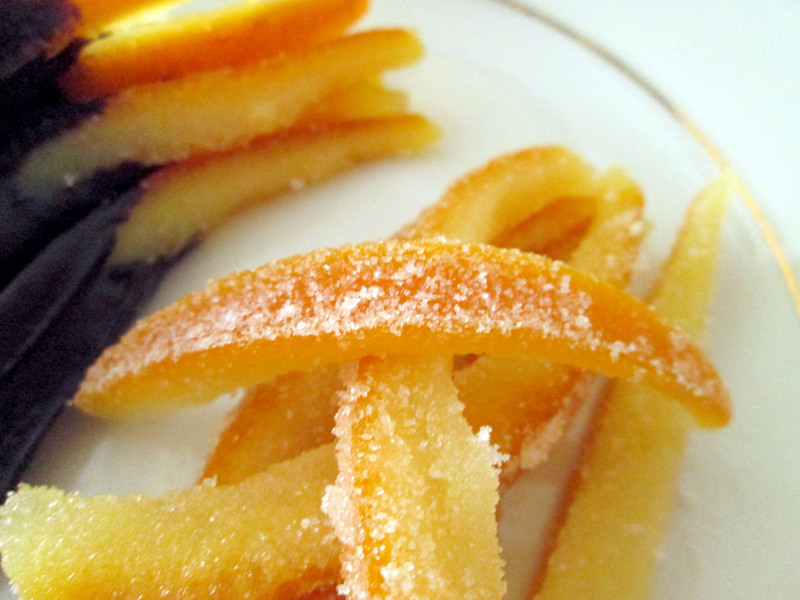 Chill until firm, 20 to 30 minutes (no longer, as candy will begin to soften). Use the best white chocolate you can get your hands on. For the dark chocolate, I used a bar from a three pack of small bars from Trader Joe’s. Have leftover dark chocolate? 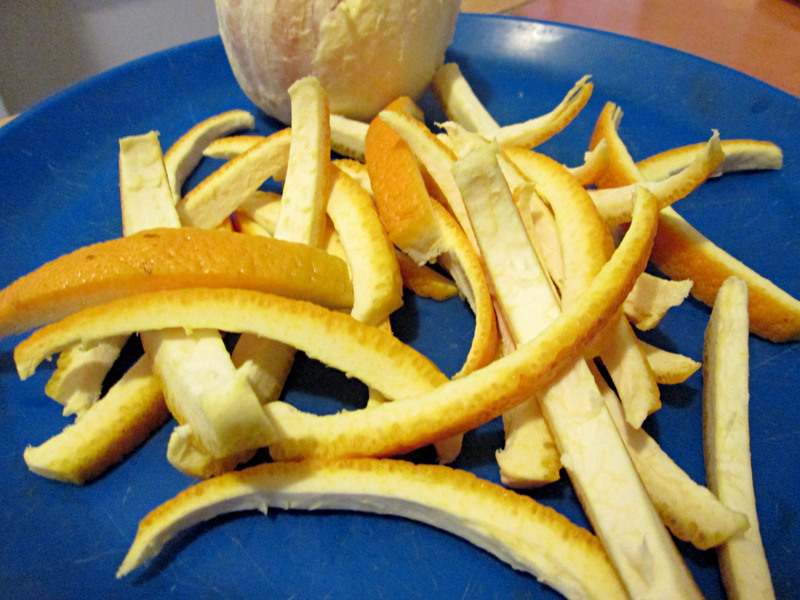 Use a pair of plastic spoons to scoop it up. Garnish with sprinkles or mini chocolate chips and pop in the fridge to harden. Dip in warm milk or coffee for instant hot chocolate or an awesome caffe mocha.